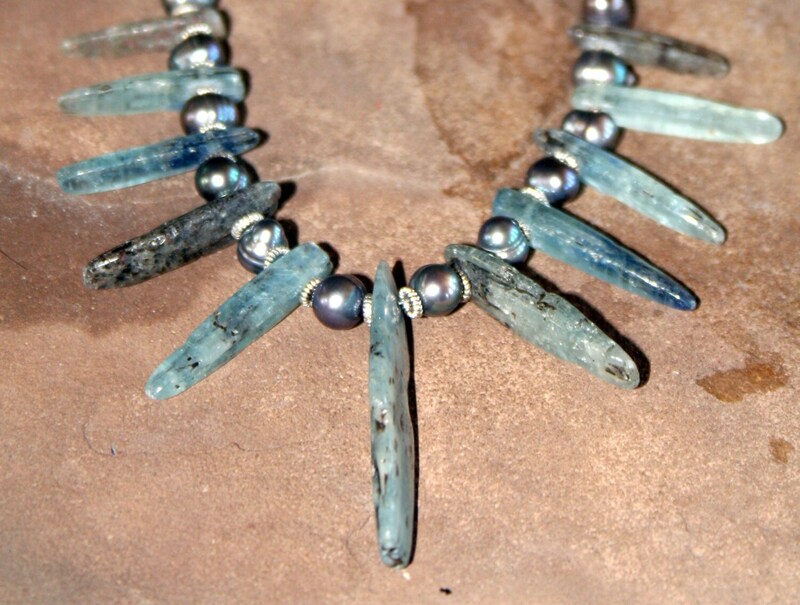 Kyanite is a mineral crystal that is very energetic. The lightly polished crystal spikes in this necklace are rutilated with black spidery veins that give it an interesting appearance. The spikes are spaced with silvery blue-gray potato pearls and Bali silver spacers. The neckline is strung with silver blue aurora borealis Czech glass to make it lie nicely and move on the neckline. There is a Bali sterling silver clasp to finish the piece. 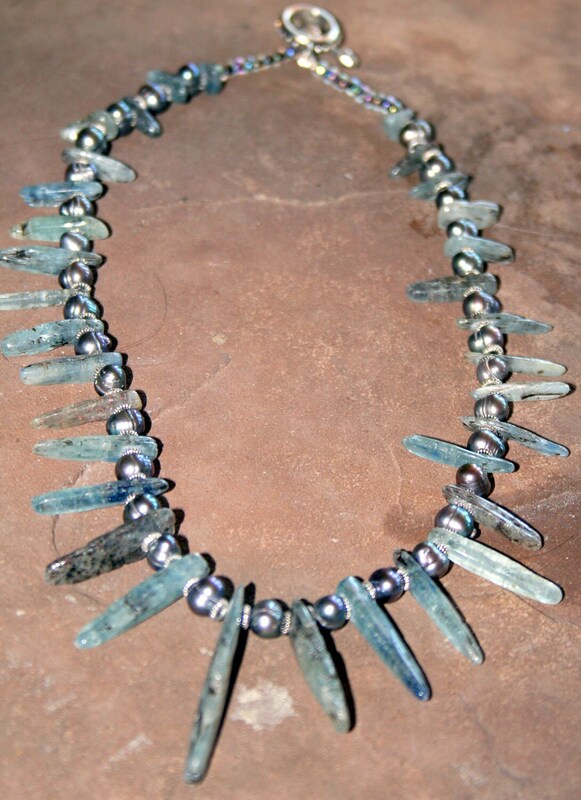 The necklace is 20 inches long and the longest kyanite spike is 4.5 mm long. This necklace looks great with an open neckline dress or with a shirt and a pair of jeans.